Ranger Creek Ranch owns or has access to approximately 15,000 acres of prime hunting land that has been managed over 30 years. The terrain varies from rolling mesquite pastures to rough cedar break country with natural spring water, and is located in Baylor and Knox Counties with the main ranch located between the Brazos River and the South Fork of the Wichita River. All-inclusive Texas White Tail Deer Hunting Packages consist of basic meals, lodging, and white tail hunts over fully managed areas. 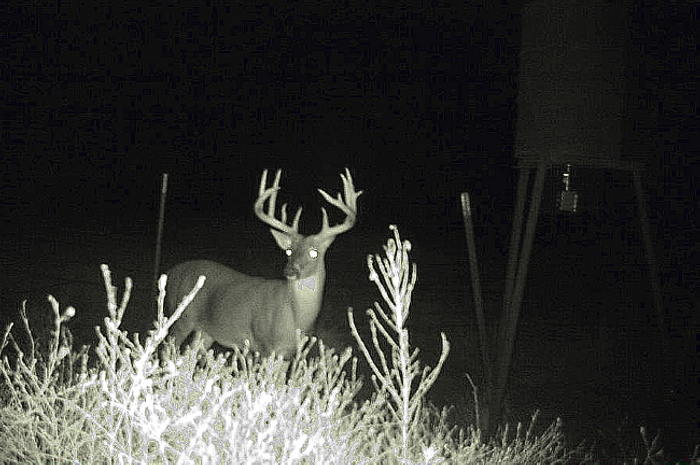 These managed areas consist of a feeding program of protein since 1999 and food plots that have been established since 1990. Ranger Creek Ranch offers only free range hunting and we strive for successful harvests but we offer no harvest guarantees. For those management minded hunters that do not have the time to maintain their lease we are now offering a Mini Lease Package. Whitetail Deer Combo Hunt on managed private ranch. 4 x 6 tower, ground blinds, with corn feeders, fully furnished Ranch house. Some areas have food plots. 1 mature buck, 1 cull buck, 2 whitetail does and unlimited wild hogs, unlimited varmints $3750 per person. Hunting License, ammunition, hunting gear/apparel. Please specifiy lodging preference at time of booking. We do not play the harvest numbers game, but are dedicated to providing the opportunity for quality mature bucks for our clients. Our staff prides itself on true West Texas hospitality, accommodating all requests, to insure a memorable experience. * General Season: November 3, 2018 – January 6, 2019. (antlerless and spike buck deer only). Early Season: Oct. 27 – 28, 2018. Bag limits, provision for the take of antlerless deer, and special requirements of the county, shall be as specified for the first 2 days of the general open season. Licensed hunters 16 years of age or younger may hunt deer by any lawful means during this season. Email: ranger@rangercreekranch.com to book your Texas Whitetail Deer Hunt.